Christmas is fast approaching! Are you ready? I'm not. I hope to get everything done this weekend. 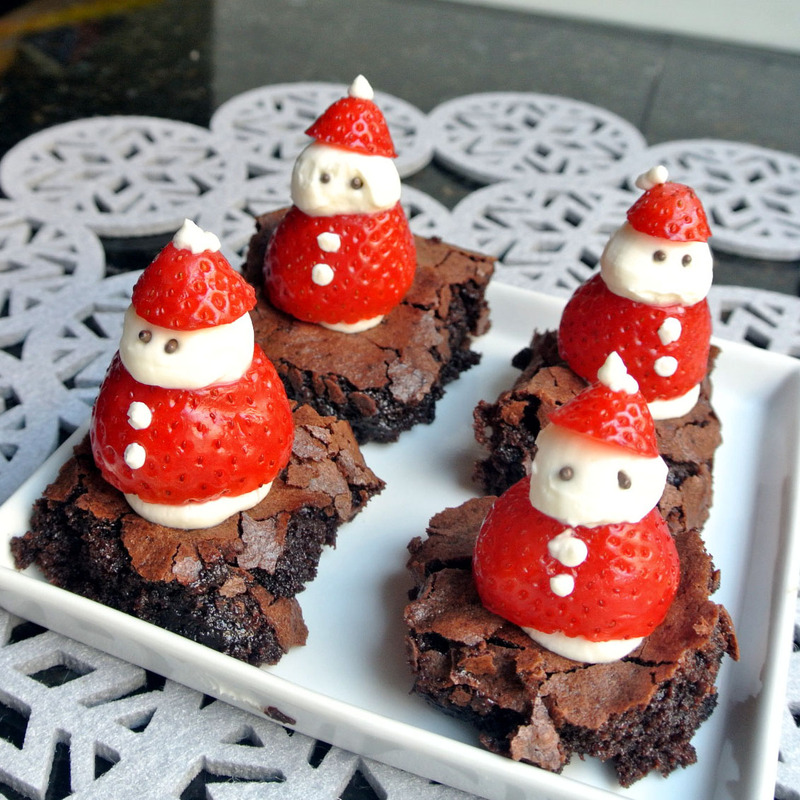 I do have the Christmas sweets taken care of. I hope no one bought me tight fitting clothes, because they may not fit after this baking season is over. Last year I made Santa Hat Brownies that were a big hit. So I wanted to do something similar. Now here is where I put my disclaimer... 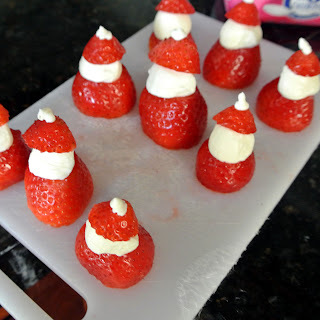 Strawberry cheesecake santas are all over pinterest. So I have no idea who came up with the idea originally. I saw it a while back and thought "how cute!" So I would link back if I knew who's idea it was. 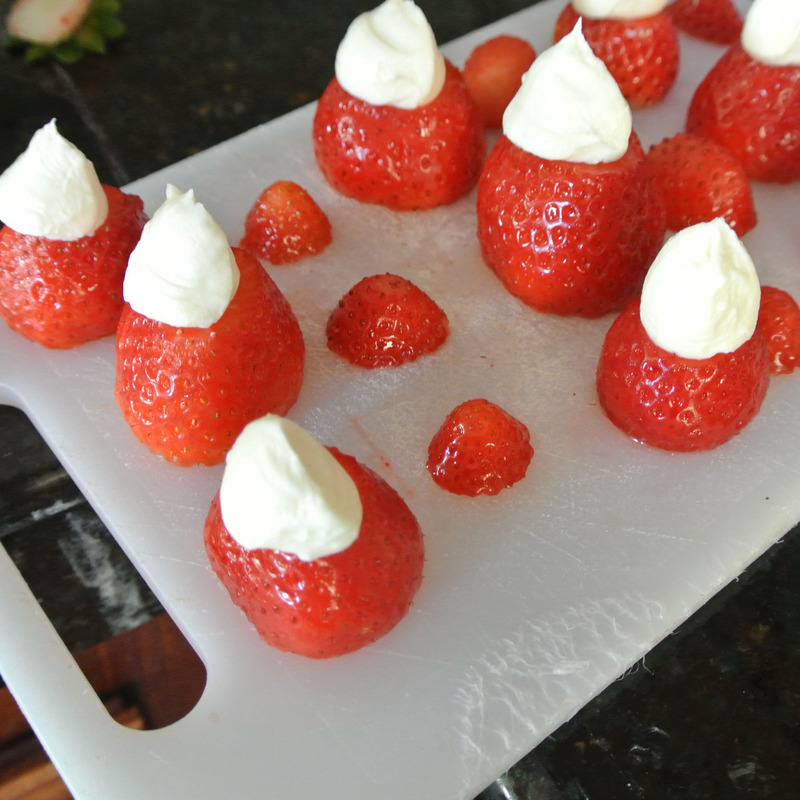 Strawberries and cheesecake go fabulous with brownies. 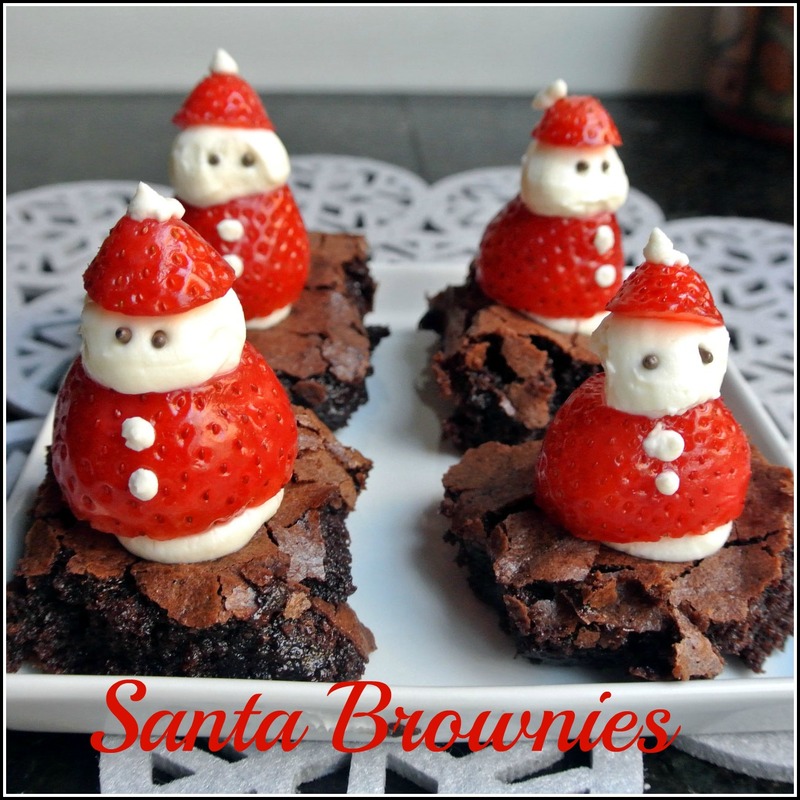 So today I am using my better batter brownie mix to whip up these festive treats. 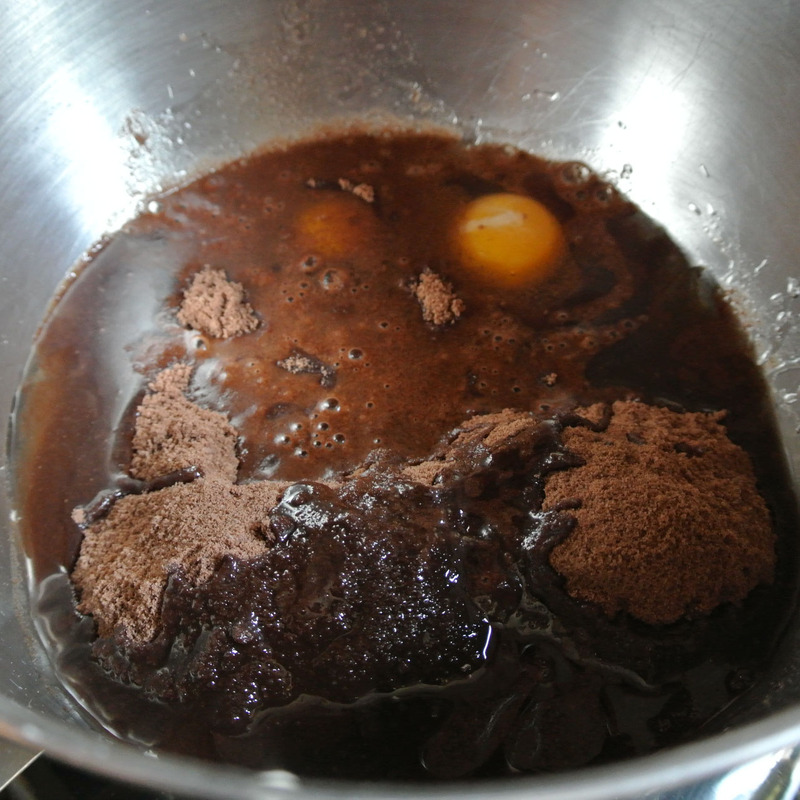 In a large mixing bowl, add brownie mix, eggs, water, and canola oil. 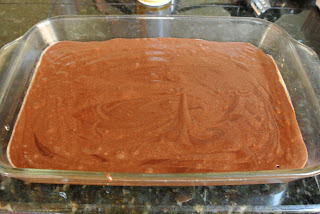 Mix well and then pour into a greased 9x13 pan. 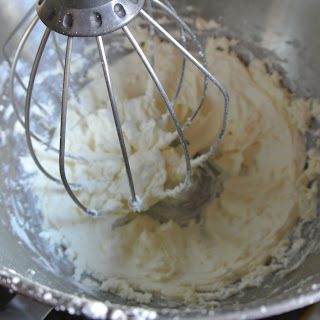 In a mixing bowl, add cream cheese, vanilla and powdered sugar. Beat until creamy. now pipe in the cream cheese mixture for the head. Next add the tip for the hat, and pipe a fluffly pom on the tip of the hat. Now you add eyes and white buttons. 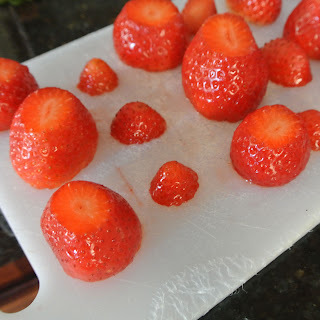 You can use mini chocolate chips, or chocolate sprinkles. When your brownies are cool. Cut them and add a little of the cream cheese mixture to the brownie and place the santa on top. These are great party treats! Leave them out for santa and see what he thinks! Totally cute! 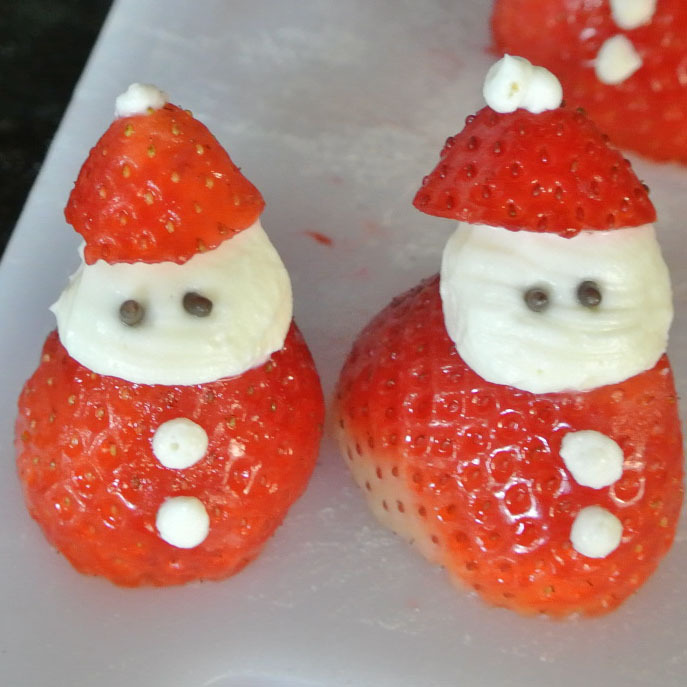 I love the Santas! !